With a focus on abdominal muscles, glutes and hips, this session off-sets modern day lifestyle and prepares your body to move better in every way including helping you improve posture, strengthen core stability, increase joint mobility and energise the body. 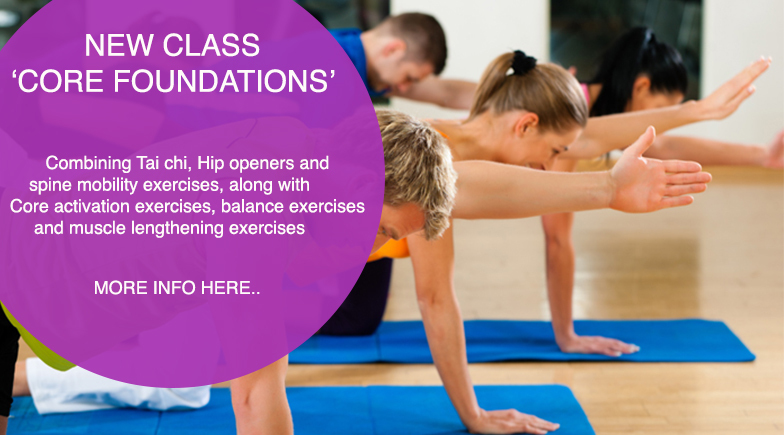 Core foundations is inspired by movements from Pilates, martial arts, yoga, tai chi, and allied health physicians. You will begin the class with the Mind centering base of Tai Chi to warm up and prepare your body for movements ahead. Pilates and yoga based moves will strengthen the deep abdominals and postural back muscles. By keeping the core and lower back healthy, we retain the ability to move with ease.